University of California regent Bonnie Reiss passed away April 3 at the age of 62. Reiss was battling cancer, according to the Daily Californian. “The University of California has lost one of its most passionate, caring, and effective advocates with the passing of UC Regent Bonnie Reiss,” wrote President Janet Napolitano in a statement on Monday. Napolitano also touched on Reiss’s work to combat sexual harassment and assault, ensure the UC maintains its academic excellence while remaining affordable for students, and mitigate the effects of climate change. Before she served as a UC Regent, Reiss was a senior advisor to former governor Arnold Schwarzenegger on matters of education and the environment while he was governor of California. As a senior advisor to Schwarzenegger, Reiss helped him create and pass AB 32, which required the state to drastically reduce its greenhouse gas emissions. She later went on to serve as Schwarzenegger’s education secretary and was appointed as a UC Regent in 2008. As a UC regent, Reiss worked to overhaul UC’s sexual harassment and assault policies and also put the UC on a course to be carbon neutral by 2020. 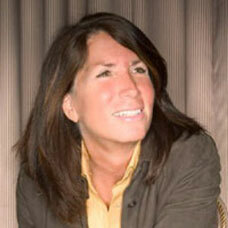 Reiss’s other achievements include founding the Earth Communications Office in 1998, which sought to insert environmental consciousness into mass media. She also served as the founding director of After-School All Stars, a nonprofit after-school program for low-income youth. Recently, Reiss served as the global director of the Schwarzenegger Institute at the University of Southern California. The institute seeks to promote cooperation between political parties in order to advance policy beneficial to the public. Napolitano noted Reiss’s dedication to UC. “She worked tirelessly on behalf of this institution that she so loved,” Napolitano said. In 2002 Haspel oversaw what was called a “black site” (a covert C.I.A. facility that imprisoned terrorist suspects) in Thailand.